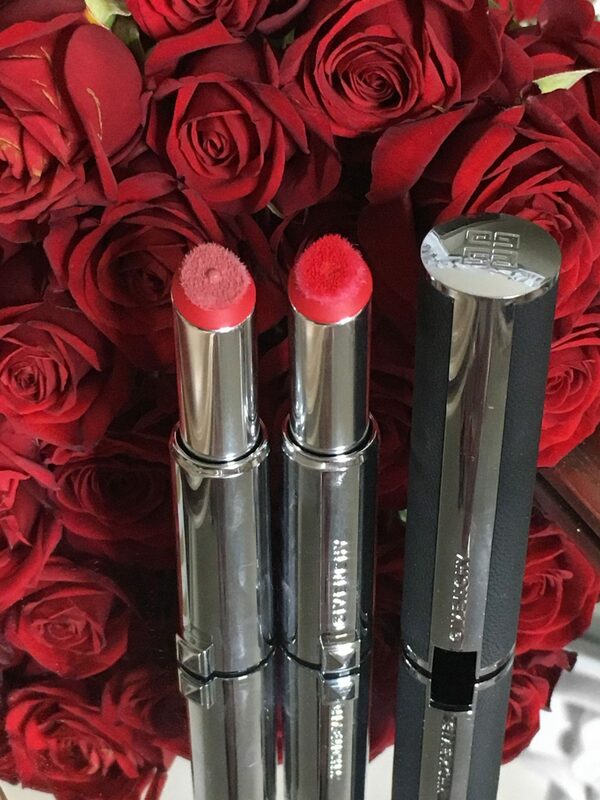 The latest lip launch from Givenchy Beauty is the Le Rouge Liquide. 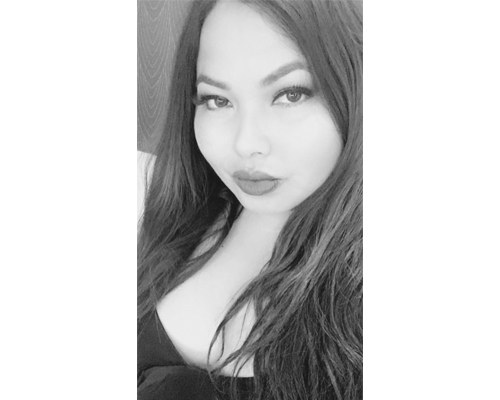 It’s described as a long long-wearing, soft velvet matte liquid lipstick that is encased in Givenchy’s signature black leather and metal stud lipstick case with a unique twist up applicator. 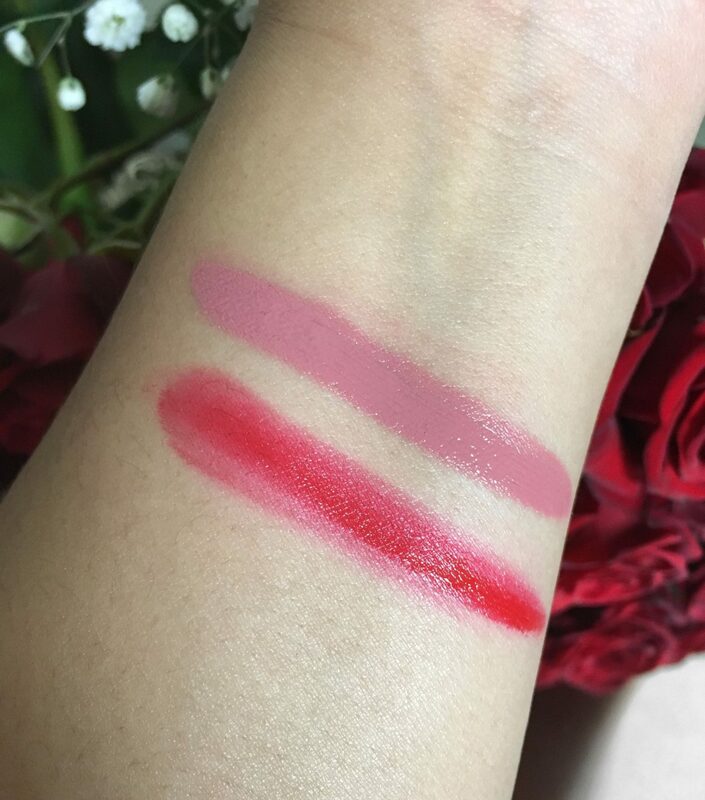 I had the pleasure of attending the launch event earlier this month and received two shades to test out. Today I’ll be sharing my review and swatches. 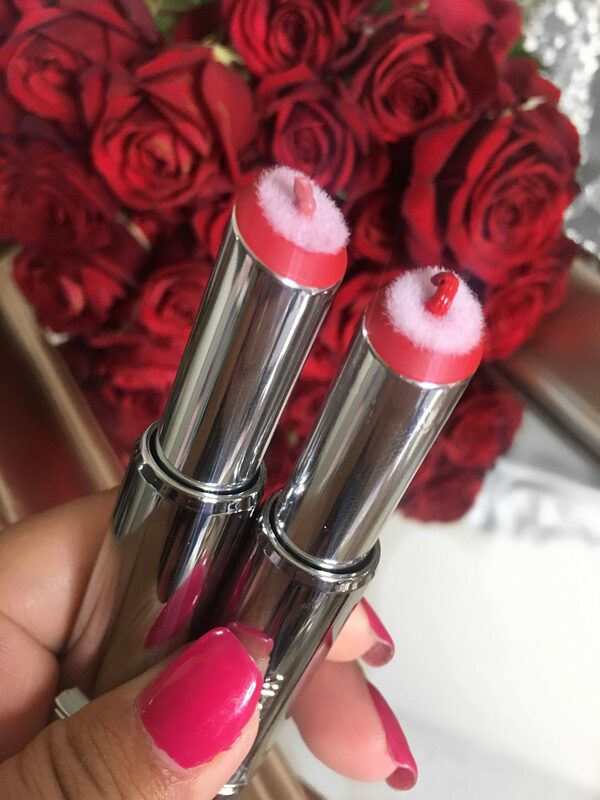 The Le Rouge Liquide Lipsticks are something quite unexpected, it has a very unique velvet and creamy texture that feels like a cross between a balm and a liquid lipstick. The formula is hydrating thanks to its hyaluronic-acid infused formula so it never feels drying. You get incredible bold color saturation and pigmentation in one swipe. Hyaluronic acid: hydrates, smooths, and plumps the lips. Gatuline oil: helps sculpt and smooth the lips. Clay extract: ensures long-lasting color. Micro-crystalline wax: enhances the creaminess of the formula. 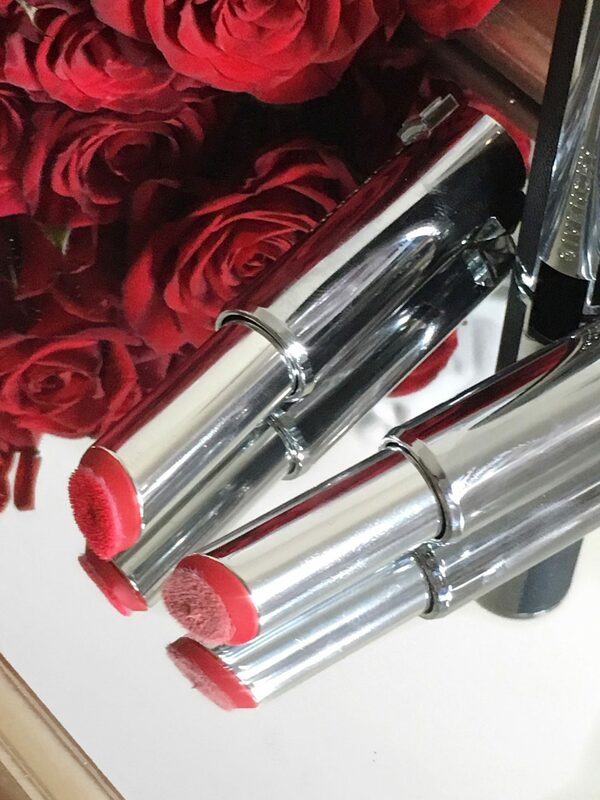 The Le Rouge Liquide lipstick still feels like a traditional lipstick in the sense that you still twist up the tube. I can slowly twist up the tube to dispense the right amount. I simply manuever the pointy tip of the bullet to help define the upper contours of my lips. The soft, plush applicator envelops my lips in a soft matte shade that feels extremely creamy, velvety and comfortable. I’m really impressed with the ease at which these applied. Staying power is great. There is minimal transferring when eating or drinking, and I do not mind a quick reapplication. I find that you can also use your finger to slightly dab the color onto your lips for a nice stain. There’s a lot of versatility here which is something I really appreciate. Swatches below. 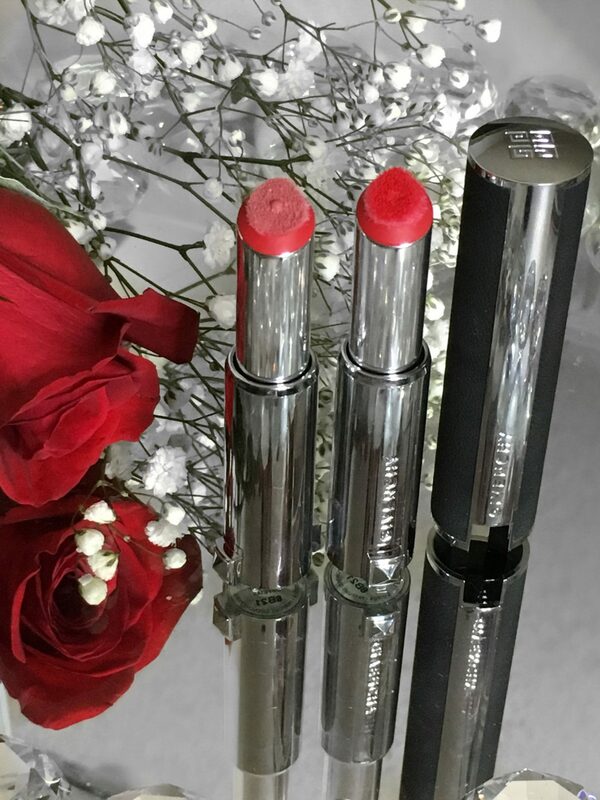 There’s truly more than meets the eye with this latest lip offering from Givenchy Beauty. You really have to try for yourself to really see how amazing the texture and formulation is. I have been a long time fan of their lipstick formulas, namely the signature Le Rouge Lipstick formula, reviewed here. and really enjoy the innovation behind this latest launch. You get a bold, statement lip in a unique innovative formula that never feels drying. The elegant and luxurious packaging coupled with the amazing texture and finish make these a clear winner for me. The Givenchy Le Rouge Liquide Lipsticks retail for $37 and is currently available at Sephora and Barneys.com. *These products were provided for courtesy of Givenchy Beauty for review. All opinions are honest and expressly my own. Some links are affiliated. Please read my full disclosure on my home page.